Entertainment 4 September, 2017 . Written by Aoife O'Connor. Carol fans rejoice! Out and proud queer director Allison Tate has created a short film capturing exactly what it feels like to be a Carol-holic. 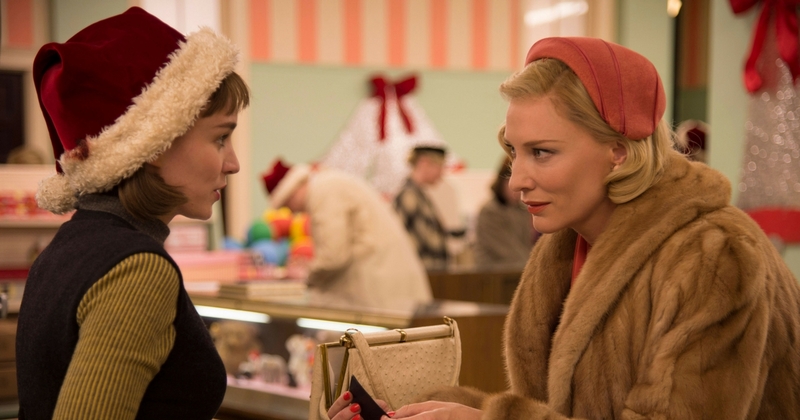 In the film, Carol super-fan Blanche shows up to a meeting at the Carol support group doing her best Carol Aird impression (props to actress Ashley Morton for serving up some Cate Blanchett realness), throwing the group of recovering Carol-holics into a obsessive 1950s lesbian spiral. With shot for shot recreations and replicas of props and costumes, the short is the homage that Carol deserves. Directed by Todd Haynes and released in December 2015, Carol touched the lives of many of it’s viewers and received 6 Oscar nominations. Voted the best LGBT film of all time, it serves as one of the most positive cinematic and celebrated depictions of a lesbian relationship in cinema. Naturally, the film has a massive fan base, with fan fiction and art still being posted online regularly. Cate Blanchett and Rooney Mara’s onscreen chemistry as the boisterous Carol Aird and mild-mannered Therese Belivet is one for the ages. While a sequel to the film is unlikely, it’s fan-made content like this that keeps us Carol addicts going. Watch the full short film here. 4 September, 2017 . Written by Aoife O'Connor.